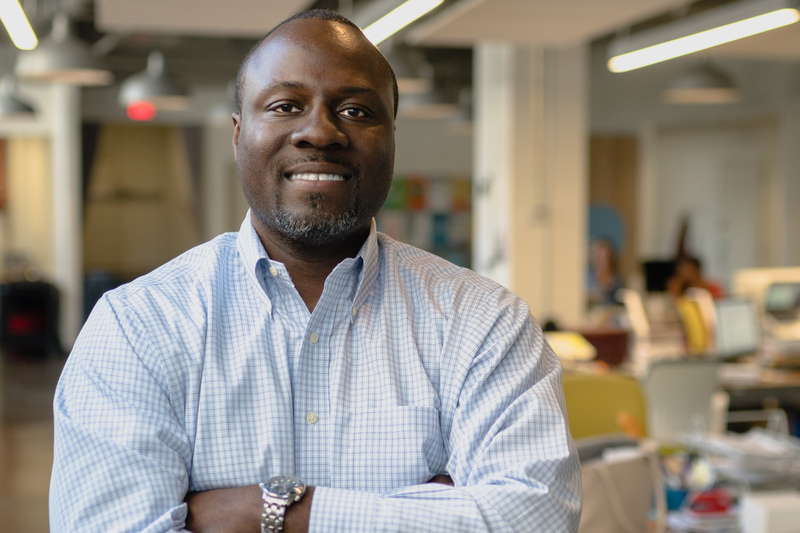 A comprehensive national search for the next chief executive of The Company Lab (CO.LAB) has successfully concluded, with former Maryland native and new Chattanoogan Marcus Shaw assuming the role effective today. Marcus is the former senior director of business development and partnerships for Management Leadership for Tomorrow (MLT), a D.C.-based nonprofit that helps build diversity and leadership pipelines for corporate institutions, nonprofit organizations and government agencies. While there, he significantly grew MLT’s partnerships with Fortune 500 partners and led the proposal for an entrepreneurship development program focused on women and minorities. Marcus is also the founder of a boutique consulting company that specializes in working with startups and small to medium-sized businesses. Through this enterprise, he has advised a number of companies on commercialization and capital raising. Marcus’s professional background includes 10 years working in equity research and investment management, as well as serving as the head of tech, media and telecom research at a D.C.-based investment advisor focused on policy and regulated industries, among other positions of leadership. His extensive experience working in the investment world will enable him to provide key insights to high-growth startups working to raise capital and commercialize their products regionally, nationally and globally. The national network of corporations, VCs and government program officers Marcus has cultivated throughout the years is another critical asset he brings to Chattanooga’s startup community. In addition, he has dedicated much of his career to talent development and retention, with a particular focus on unlocking the potential of diverse individuals. Over the next few months, Marcus will lead a comprehensive strategic planning process to identify key priorities and opportunities to move CO.LAB into its next phase of service to the entrepreneurial community. Working with CO.LAB’s board of directors and other stakeholders in Chattanooga’s entrepreneurial success, Shaw will steer the organization toward evolving opportunities and needs in the local entrepreneurial ecosystem. In transitioning into his new role, Marcus will take the reins from Jack Studer, who has served as the organization’s interim chief executive since October 2016. Moving forward, Studer will continue to support Chattanooga’s startup community through various community roles, including by continuing to serve as a partner at Chattanooga Renaissance Fund, which regularly provides guidance and resources to CO.LAB. Members of the public are invited to connect with Marcus at a Meet & Greet event held on the fifth floor of the Edney Innovation Center Aug. 3. The event will take place from 5:30 – 7:30 p.m. Light hors d’oeuvres and beverages will be served. Marcus relocated to Chattanooga in the summer of 2016 with his wife – a board-certified dermatologist – and their two children. He earned a bachelor’s degree in Mathematics from Morehouse College and a bachelor’s degree in Electrical Engineering from Georgia Institute of Technology. He subsequently earned an MBA from Duke University’s Fuqua School of Business. Shaw started his career as a network engineer with IBM and is currently a member of the Minority Alumni Advisory Board at Duke University’s Fuqua School of Business. The Company Lab (CO.LAB) is a nonprofit organization that supports entrepreneurial growth in southeast Tennessee. Established as the region’s front door for entrepreneurs, CO.LAB works to increase the viability of startups and strengthen the ecosystem of support behind them. In doing so, the organization helps entrepreneurs refine their business models, test their ideas with customers, pursue capital and partnerships, and connect with a community of mentors, peers and business experts. Additionally, CO.LAB works to create environments that inspire entrepreneurial activity, open doors within the business community and promote job creation. The companies CO.LAB supports range from street-corner mom and pop shops to tech startups scaling into major markets.